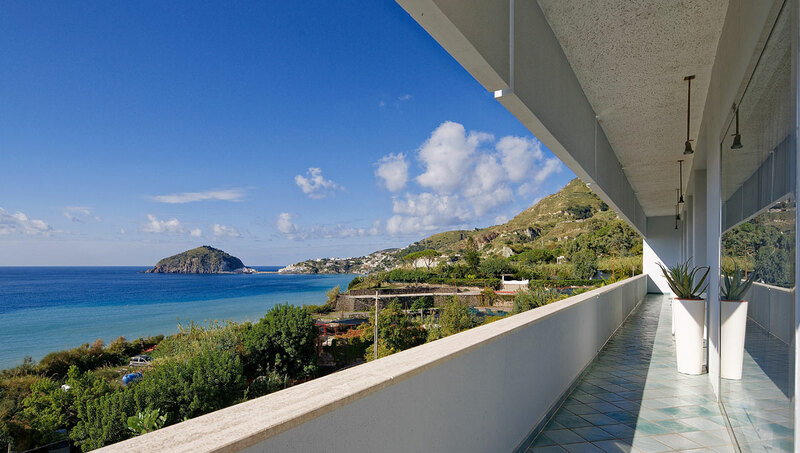 The San Giorgio Terme Hotel enjoys a privileged waterside position overlooking the Maronti Beach. 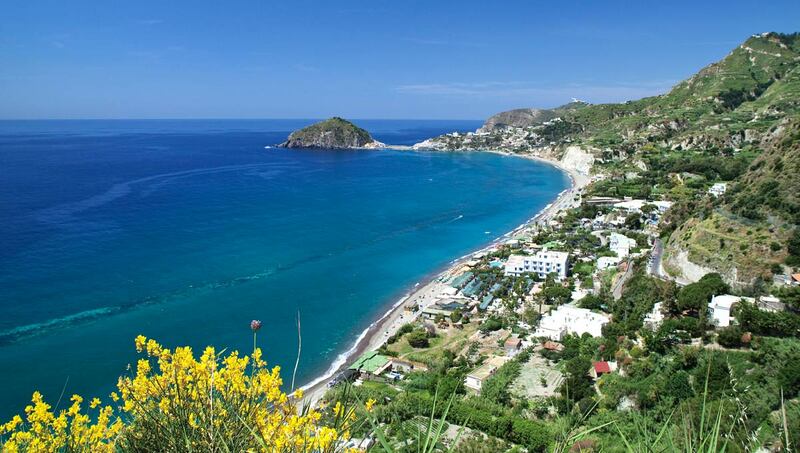 This 3 km wide beach is considered one of the best beaches on Ischia and it is famous for its thermal waters and hot sand. Plus, there are many lovely restaurants and beach resorts located along the beach. The beach is surrounded by an authentic natural environment. Borgo Sant’Angelo is on the western side, the northern side is protected by hills, Petrelle is on the eastern side and sea is on the southern side. 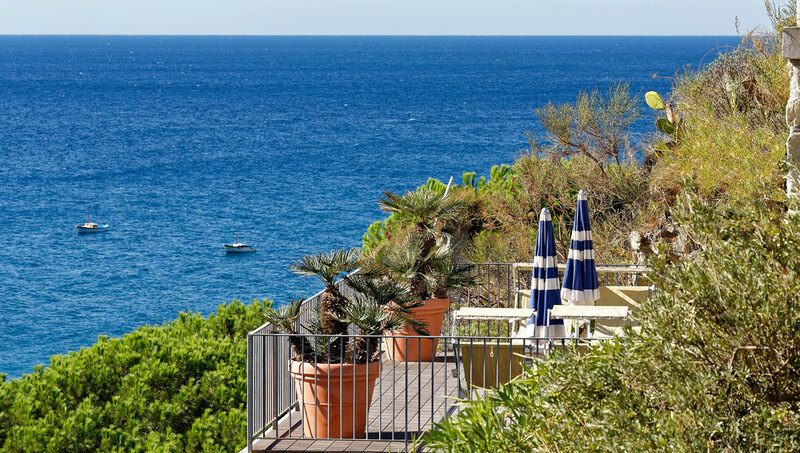 You can reach the Maronti Beach on foot along the panoramic road constructed to give access to it from Borgo di Testaccio and Barano. 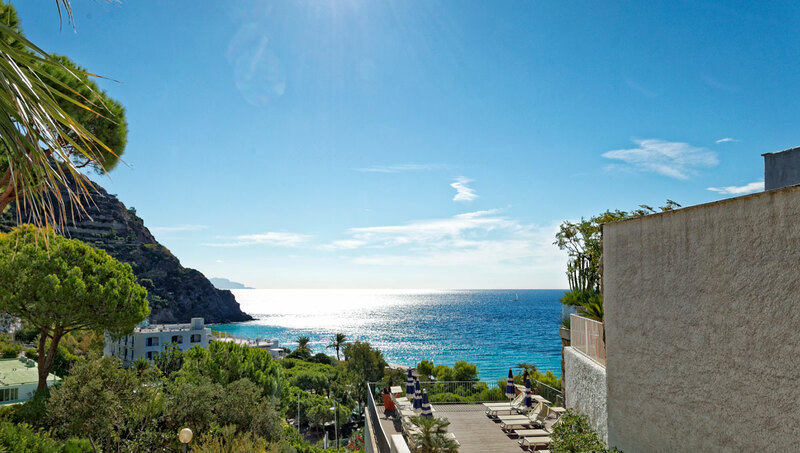 Additionally you can reach it by water taxi from Sant’Angelo in few minutes. 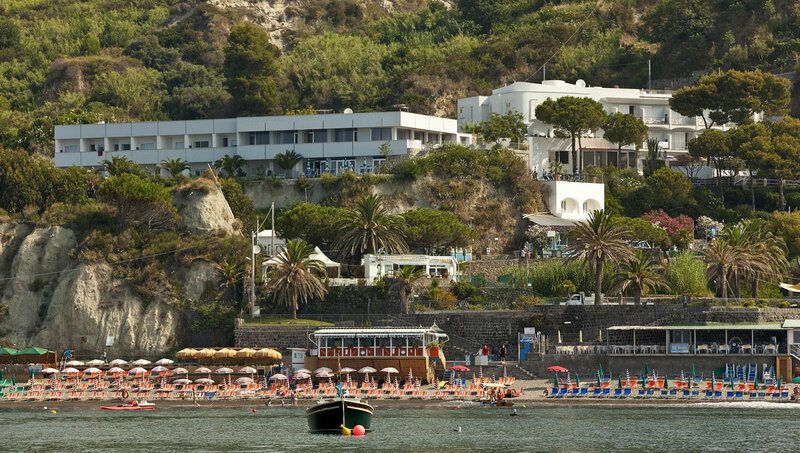 Sant’Angelo attracts every day a voguish crowd with its chic boutiques, seafront restaurants, bakeries and jewelry stores. In addition to the beach, Maronti includes two mini canyons. 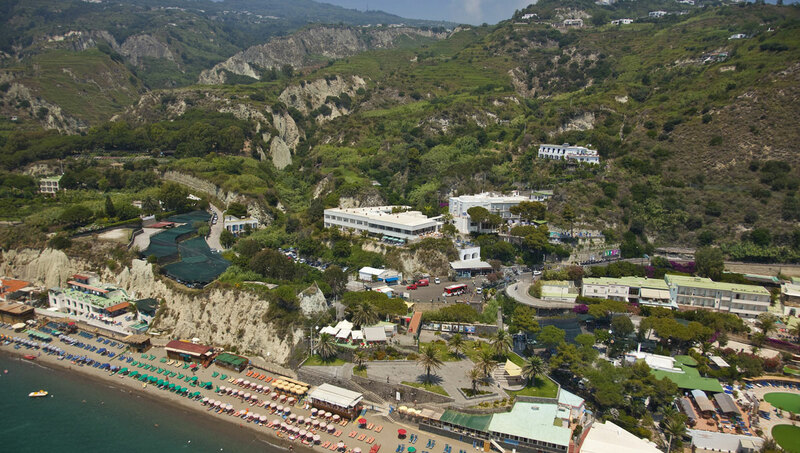 The first is Olmitello, a thermal-mineral spring connected with Nitrodi natural springs. It’s said its thermal waters shall have positive effects on eyes and internal organs. The second, known as Cavascura, is a thermal spring hewn into tuff rock. It was especially well known to ancient population who appreciated the curative properties of its mineral-rich waters for treating rheumatic diseases.